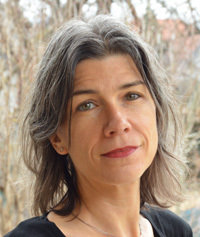 Eva Pollani ist eingetragene Hypnosepsychotherapeutin und ausgebildet von der ÖGATAP. Sie arbeitet in freier Praxis im südlichen Niederösterreich. Als direkte Schülerin von Claire Frederick, Maggie Philips und Woltemade Hartman ist sie nach internationalen FEST-Regelungen zertifizierte Ego State Therapeutin. Eva Pollani ist Referentin auf nationalen und internationalen Kongressen. Sie ist Lehrtherapeutin mit voller Lehrbefugnis für Hypnosepsychotherapie ÖGATAP. 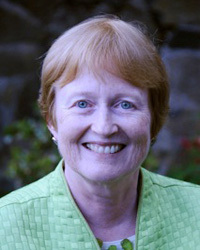 Maggie Phillips, Ph.D, lives and works as a clinical psychologist in the Oakland Hills above the San Francisco Bay. She has taught at major conferences and offered invited workshops on trauma, Somatic Experiencing, hypnosis, Ego-State Therapy, EMDR, behavioral medicine, and Energy Psychology in the U.S., Canada, Europe, South Africa, Australia, Scandinavia, Hong Kong, China, Malaysia, and Japan. As the author of numerous papers and articles on trauma, dissociation, ego-state therapy, hypnosis, and mind-body healing, she specializes in the treatment of traumatic stress and pain disorders. She is on the faculty of the Somatic Experiencing Trauma Institute, and is a Fellow of both the American Society of Clinical Hypnosis and of the International Society for the Study of Trauma and Dissociation. Dr. Phillips is co-recipient of the Cornelia Wilbur award from International Society for the Study of Trauma and Dissociation and of the President's Award and the Crasilneck award for the best new writing in the field of hypnosis from ASCH. Dr. Phillips is the author of four books. Her latest book, Freedom From Pain: Discover Your Body's Power to Overcome Physical Pain, was written with Peter Levine and will be released in May, 2012 by Sounds True.Her third book, Reversing Chronic Pain, was released in October, 2007 and has ranked in Amazon's top 10 books in mindbody health. Her other books are Finding the Energy to Heal (W.W. Norton, 2000) and Healing the Divided Self (W.W. Norton, 1995). She has also recorded three well-regarded CD programs on pain: Hypnosis: The Pain Solution and Hypnosis: The Headache Solution, as well as a new 2-CD audio program from Sounds True on Freedom From Pain. She is also the creator of a highly effective multi-media online pain self-help program at www.reversingchronicpain.com, as well as a CD pain coaching program for success and numerous audio downloads. Maggie has developed a popular monthly teleseminar series featuring experts in the field of mindbody health (www.maggiephillipsphd.com).As an innovator in mindbody healing and the treatment of persistent pain and trauma reactions, Dr. Phillips is particularly interested in the interface of trauma, dissociation, and emotional and physical pain conditions. 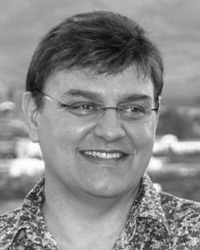 Woltemade Hartman ist klinischer Psychologe und Psychotherapeut mit eigener Praxis in Pretoria, Südafrika. Er ist Gründer und Direktor der MEISA, der Milton Erickson Gesellschaft Süd Afrika und Schüler von Helen und John Watkins. Er ist Ausbildner in Hypnotherapie, Ego State Therapie und Eye Movement Integration (EMI). Dr. Hartman ist Autor zweier Fachbücher für Ego State Therapie "Ego State Therapy with sexually traumatized children" und "Einführung in die Ego State Therapie" mit Co-Author Kai Fritzsche (2010). Sein Buch über Ego State und Kindertherapie wird noch 2011 erscheinen. Zusätzlich verfasst er laufend Fachbeiträge zu den Themen Hypnose und Psychotherapie für internationale Publikationen.